5x3 Inch Save the Date Oval Full Color 20 Mil Magnets- An oval shaped design provides style and uniqueness to this magnet. 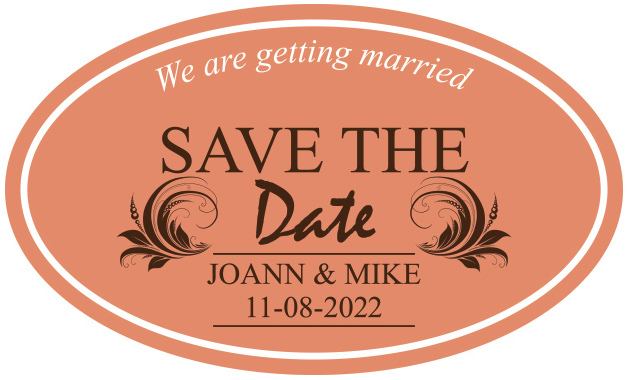 You can use 5x3 inch save the date magnets for announcing the big day with grandeur. This magnet can be easily customized with suitable personal information and it evokes the feeling of authority. The choice of black and white fonts will radiate the authenticity which almost cannot be ignored. It is indeed a great choice for your classic and romantic wedding ahead!